I’m not going to lie; before moving to Germany, I never really knew that “Polish Pottery” was a thing or that woman in the States would pay upwards of 100+ dollars for something you eat off of. I also had no clue that there were people who flew to Poland to pick out pieces, somehow paid the astronomical fees to ship the heavy duty dishes back and then jacked up the prices in little quaint boutique shops for middle aged woman to flock to and pay whatever was being charged. Did you know that you can actually get Polish Pottery on here on Amazon!? I mean, yeah, I had to laugh when a coffee mug was over $20 and I paid maybe $2 in Boleslawiec buuut I will admit, it is nice to know that if I need a replacement piece or a really really awesome gift to someone that there are options. 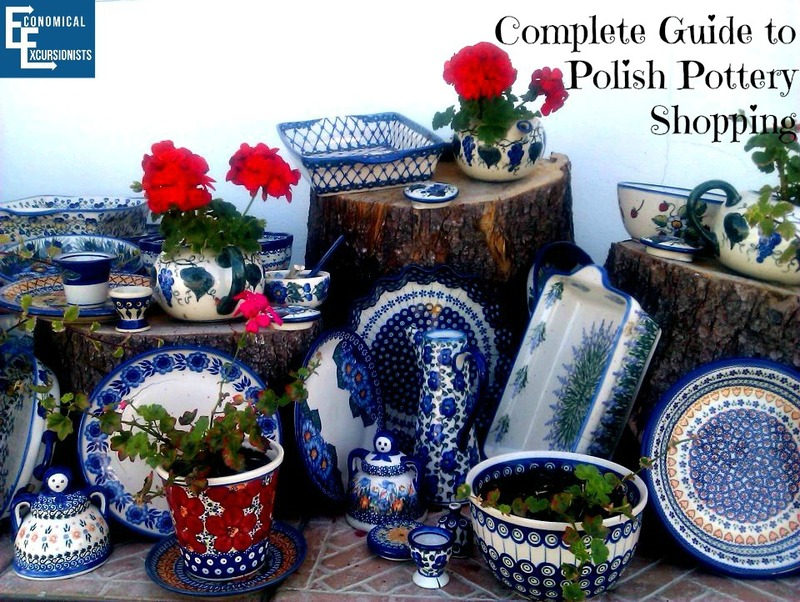 The Complete Guide to #PolishPottery…and more! But that all could be due to the fact that I have never really been one to claim that I am either 1) a decent cook or 2) a decent “homemaker” or 3) the fact that I have no decorating sense whatsoever. However, I joined in the bandwagon and took my first trip across the border and bought a few pieces. Suddenly, the food I prepared looked so much fancier, if not at least cuter and the coffee in my mug somehow immediately tasted better! 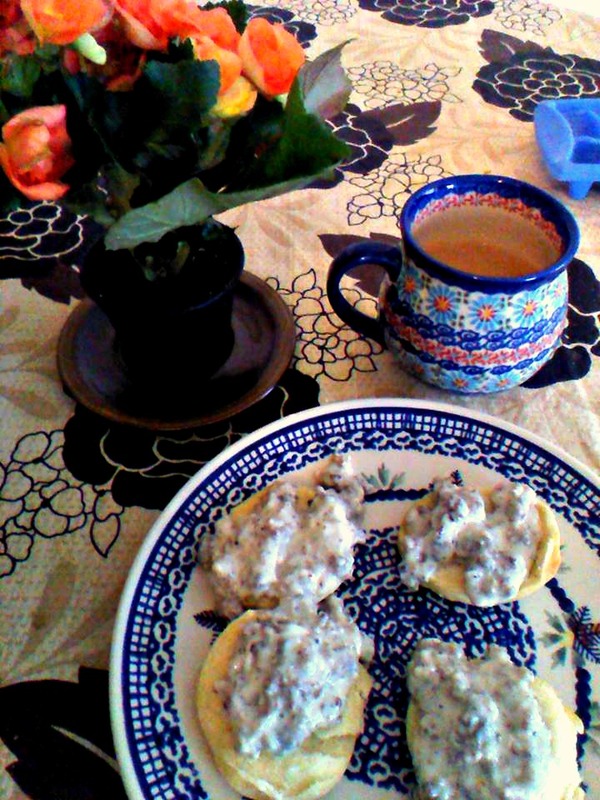 Don’t ask me why these biscuits and gravy tasted so much better on these plates…they just did!!! It also didn’t hurt that I could be lazy and throw the dishes in the microwave, dishwasher AND oven!!! Also, when I would take food to a group event in a dish, it was raved about, making me look like I actually gave a damn. Win-Win! Thus began my small collection of Polish Pottery. To make everything better, the prices to buy the pottery IN Poland is a fraction of the cost to the States. So, make that a Win-Win-Win!!! So, if you’ve ever thought about buying a piece, head straight for the home and Polish Pottery Capital; polish pottery shopping in Boleslawiec, Poland to save big instead of buying it at jacked up prices of bazaars and boutiques. Even after the cost of driving and staying in a hotel, I would argue that it is still cheaper to go polish pottery shopping in Boleslawiec and buy there. Plus, who could argue with a girls weekend getaway of shopping!? 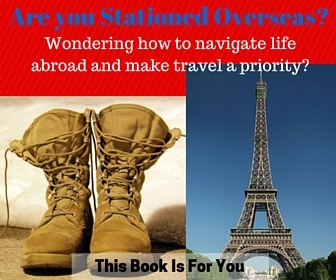 So, you are ready to pack your bags and head to Poland for some shopping? Here is everything you need to know and more about polish pottery shopping in Boleslawiec. The best, easiest and most stress free way of getting to Bolesławiec is by driving. The drive is easy and this will allow you to hop around to all the shops on your own time schedule. No vignettes are needed. Depending on where you are starting from, some tolls may be encountered (Note: For the short jaunt from over the German border, there are no tolls). Driving makes it easier to buy WAY more stuff! 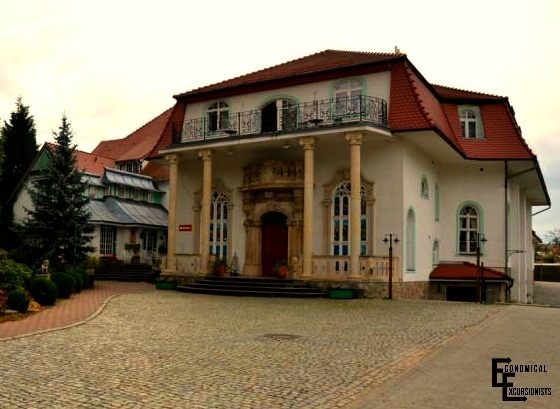 There are plenty of great accommodations right within Bolesławiec. Most of them are extremely affordable, offer fantastic restaurant and breakfast selections and are cozy and cute. Another all-time favorite in the military wife’s community is the Blue Beetroot. Once again, from personal friends who have stayed here, they rave about the food, rooms, service and hotel in general. There are plenty of other options and a quick TripAdvisor or Booking.com search will help you see if any others fit your needs better. Read Other Reviews of Top Rated Hotels here or shop around for the lowest prices here. 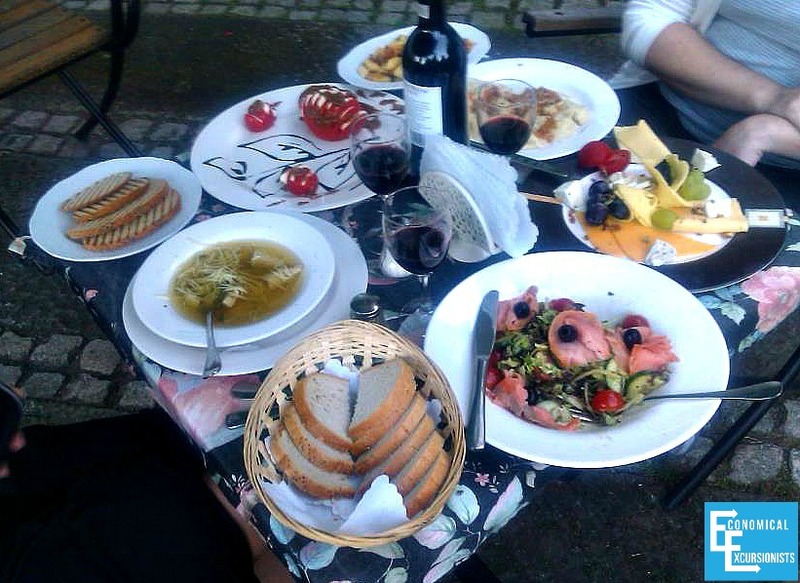 Poland’s traditional foods are some of the best and underrated in Europe. Menus will be in English, but don’t hesitate to try their local delicacies. Pierogis: Wherever you go, don’t forget about the stereotypical, yet delicious Polish Pierogi. No matter the filling, you just can’t go wrong! Zurek Soup: This surprising pairing of sausage and boiled egg (and sometimes potatoes) in a soup is oddly delicious! Kopytka: These tiny little potato dumplings are out of this world. Be sure you get the ones that are fried to perfection. Eating like kings for very little money! The hotels mentioned above (Garden Hotel and Blue Beetroot) have amazing food and are never missed by those “in the know.” Some other favorites are the adorably cute Opalkowa Chata and the cozy Elric Restauracja. All offer fantastic Polish food at great prices. Alright, so now you’ve gotten to Bolesławiec, checked into your hotel, eaten some life changing fried dumplings and now are ready to shop! Bolesławiec’s main money comes from the pottery industry. Therefore, the town as a whole is very conscious of the tourists’ effects on their economy which means you will find English almost everywhere as well as some German in most places. Just a warning: you will be very overwhelmed!!! Don’t worry. If you ever feel too stressed from the million and half different pottery pieces, styles and designs, just take a pierogi break and all will be fine. Look at some pictures online first to get an idea for pieces that you might want to keep an eye out for. Gat2: Can be used in microwave, oven and dishwasher but may have a stray brush stroke (oh the horror! They obviously haven’t seen my painting skills). Gat3: May have a crack in the glaze. Gat4: May have a chip. Gat5: Should not be used for the oven. Best as decorative pieces only. A HUGE question that most women ask is what and how to pay. You have several options. Most shops will accept dollars, euros and zloty (polish currency). With the exchange rate, it is absolutely foolish to pay in anything but the zloty. So, how do you get zloty? Since I am a travel hacker, I buy EVERYTHING with a card (note: it should be one that has no foreign transaction fee). When they go to charge you, ask for it to be in zloty. Your other option is to pay in cash. There are plenty of ATMs (Bankomaty) that you can either google for your nearest location or ask your hotel where you can find one. Manufaktura’s has many shops and locations, but at this discounted warehouse, you can find pottery up to 70% off! So, naturally, this is one of my favorites! Many of the highly discounted items have small imperfections, but many are hardly noticeable at all. Make sure that the issue is not in a spot that could cause breakage, and you should be fine (ie: a crack that could expand in the oven). This is also a fantastic location if you are just wanting decorative pieces and don’t need a piece that wouldn’t function in the oven or microwave. Right next to the outlet warehouse of Manufaktura is Henry’s making it an easy one stop for several shops. The prices are a little higher here than other locations, but there is a great selection of christmas ornaments and children’s stools. There are also a few other shops right in this area. 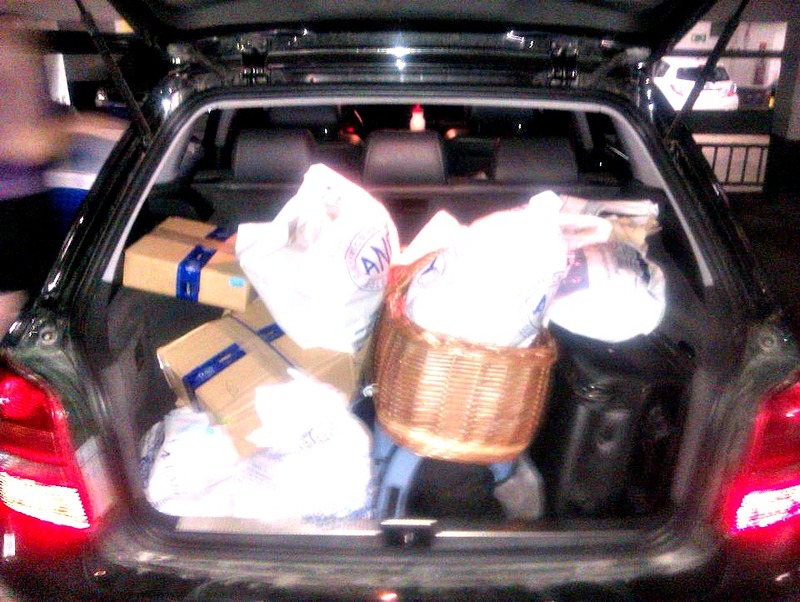 So, park once and shop multiple places. Very large selection with some unique pieces. Often can find great discounted items. Ceramika Wiza: Pottery from the the Wiza factory (which you will find at several locations). Also has other items for sale such as aprons, jewelry and polish pottery patterned table cloths. 15 minutes outside of Bolesławiec, you can find this great store where they make everything themselves. The prices are good and you can even have a custom made dish. they create their own pottery as well and can do free tours. This is by no means a complete list of all of the shops in town. The above mentioned shops are some of the bigger ones with larger selections or discounts. Just driving down any given street, you are bound to come across any number of artisan shops selling beautiful pottery. What about you? Send me a picture in the comments with your favorite piece of polish pottery or tell me what part of polish pottery shopping you loved the most. Thanks, Kris! I’ve been to Boleslawiec three times now. If it were up to my hubby, there would be no more trips…we shall see!!! Thank you for sharing your experiences and insight. I enjoyed the informative, well written article. The pottery is art. I own a few pieces I bought from vendors and won in a raffle at aukamm ES. During my years with DoDDS in Germany, I did not make it to Poland. Now that I am retired, I would love to visit there soon. Thank you, Inge! I agree, the pottery is stunning and to know it is done by hand is fascinating! I agree that living in Europe makes it much easier to get to Poland to buy the pieces at a great wholesale. Let us know when you get there! Thanks, Nancy! I agree, my first trip was just for a girls weekend. Oh how we got sucked in! Thank you so much for the info! Saving this for our future trip! Thanks Cindy! Feel free to Pin as well for easy future access. Hi Judy! Thanks for stopping by! I only like to recommend places that I have been to personally and can testify for myself. However, please feel free to comment with the name and location. I am not sure if I am going to be making another trip over there before leaving, but if so, I’d love to check it out! It sounds like a great idea and fantastic cause! A palace from 1550!? That sounds amazing! Thanks for sharing, we’ll have to check it out on the next Polish Pottery run! I am a military wife who went to Poland many, many times during our approx 7 years of being stationed there! Stayed at Elim Mission every time and was never sorry! You get to see more than just the shopping and “touristy” stuff that way as well as get a little perspective on how the Polish people live! Well worth checking out. Miss you and everyone at the Mission Judy! Thanks Traci!!! I agree that the mission sounds awesome! I’m not sure if I’m going to be making a trip over there anytime soon, but if so, I know I need to check it out! Hi Judy, my husband and I will definitely check out your ministry/Palace; we are born again Believers living in Poznan for next couple years and I am the one who has fallen in love with Polish Potter! What day of the week offers less people shopping? Meaning more room in the stores for shopping? Honestly, I’m not sure if there is a better time- surprisingly. Even on the weekends it is not that packed. However, I’d have to imagine that a day like Monday or Tuesday would be good to really avoid others. Have fun!! Do the pottery factories ship to USA? Great question, Gail! Many actually do! Just click on the links of each individual shop from the section “Where to Shop…” to see which ones will ship. However, most people that do this end up paying quite a hefty price and fees. I’ve heard that people buy several patterns for their collection. Have you heard this? Did you buy the same pattern or different? What would you recommend? How do I know how much money to bring for a rather big collection of gat 2? Thanks for the good tips! It’s a complete personal decision. If you like all the same- go for it! If you do this, most likely, you’ll buy most of your collection at one store then so you ensure the same print. I, on the other hand, actually love the mix-matched look (It’s all clearly Polish Pottery, so in my mind, it all still “goes” together). I don’t have a single piece that goes with another. Thank you for your information. I am nervous to go next week. This article really helped and was amazing. Would love to order from you! Thank you so much for this information. 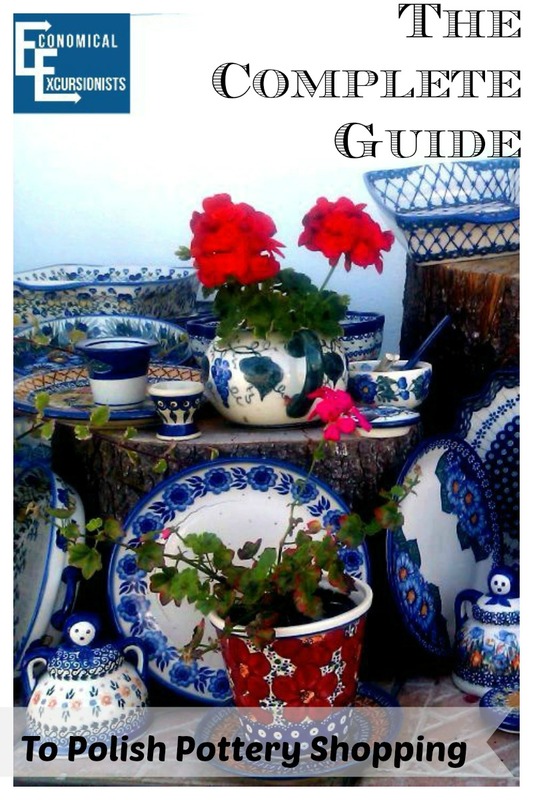 I’ve used this guide to help prepare for my Polish Pottery shopping weekend! So excited to check it all out. thank you for your information. I am looking forward to using it in a couple months to visit the city. Nancy, I’m glad it will be useful for your trip! Enjoy shopping for all those pretty pretty items!! any shops in or closer to warsaw? Hi Susan! There are shops absolutely everywhere in Poland. Since Boleslawiek is where a lot of them are made, there are shops that just sell pottery, however all over the country you can find pottery just about anywhere. Please respond in email because I don’t know how to do the other social media stuff…. Hi Marcy! Thanks for the stop by! I’ll respond both here and via email in case anyone else has a similar question. I will be honest and say I am not 100% sure about the best place to fly simply because I have never done this. I would think if you can even get a cheap flight to Dreseden, then a bus ride (Bahn.de still does good prices for buses) then that would be the closest option. However, if you have time, I would recommend Berlin just to be able to add that to your itinerary for a few days. As far as shipping it home, contact the shops before arriving (contact info in the article) and discuss having them ship directly back to the US. Many of the manufactures will and while it isn’t CHEAP, it will be better than you doing it yourself from either Poland OR Germany. Wow, I feel so happy to find this article on line and thank you so much for sharing your shopping experience in Boleslawiec. I recentely falled in love with those lovely Polish Pottery but disappointed to find that the price are extremely high charged by the local shops in China. Now I’m going to plan my first trip to Poland. Thanks, Sherry! I’m sure you’ll have a great time! You’ll find it MUUUCH cheaper in Poland, I’m sure! I’ve been dreaming of Polish pottery for a while and just found your site. How is the driving in Poland? I would be coming from the US and so would need to rent a car there. Your thoughts? Thanks for this post. Love it! Hi Lorri! Driving in Poland is super easy! No toll roads and while some of the back roads are bumpy, I’ve never had any issues or felt unsafe. Not sure where you are flying into, but I would recommend renting a car from that location, as it is very difficult to get to Boleslawiec without your own vehicle. Thank you for all the info about the Polish pottery/ With all the beautiful colors used, I have always wondered about toxicity of the paints for those items used for food. Could you let me know what you know about this please? Thank you so much! Also someone had a question about driving in Poland. We were there 2 years ago and we rented a car and GPS in English. It made all the difference for us to have that GPS! Happy traveling to Poland! Wish I could go every year! Hi Theresa! You know, I have never thought about the toxicity, oddly enough. However, I’ve never once seen the colors or paints leaking and I do know that ceramic is a very healthy option as far as eatery goes. Great question though! I am an American living in Poznan for the next few years and I have gone to Boleslawiec twice now to shop for pottery! $1000+ dollars later …I want to thank you for all the tips because I’ll definitely be going back to shop! I wish I’d read your blog before going, in knowing about the unique pieces! Again, thanks for the info! Haha! Once you start spending, it’s hard to stop, that’s for sure!! !